Widely considered the most famous diamond in the world, the Hope Diamond receives its name from Henry Thomas Hope and was discovered centuries ago in the southern region of India. Long before the fabled bad luck associated with its owners, the Hope Diamond has an illustrious history. It was believed to have a great mystical power that surrounded this unusual size and unique colour, a deep indigo blue. The Hope was reputedly used to adorn the statue of a Hindu idol. In 1642, the famous Blue Tavernier Diamond from Europe was in the hands of King Louis XIV who had it cut to bring out its brilliance. Later, the diamond was discovered stolen during the French Revolution. For many decades, the Hope Diamond could not be found. It was rumoured, according to legend, jewellers and thieves had previously acquired the stone. Some say, those who owned the blue stone, had some kind of back luck associated with them wherever they went. At the turn of the century, in 1911, the diamond was purchased by a young American socialite heiress named Evalyn Walsh McLean who bought the Hope Diamond from Cartier for US$185,000. This gift was given to Evalyn by her husband Ned, who owned the Washington Post and Cincinnati Enquire newspapers. After time, Evalyn became convinced that the true power of the Hope Diamond came from the joy and awe which filled the faces of those who gazed upon it. Mrs McLean was the longest private owner and she owned the diamond for 36 years until her death in 1947. 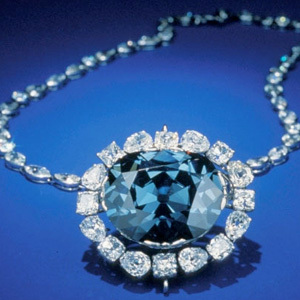 Harry Winston purchased the Hope Diamond from her estate in 1949, and 9 years later it was given to the Smithsonian Institute in Washington D.C. Probably the second largest stone ever found. A high clarity, blue-white stone, found in 1893 by a South African mine worker who picked it out of a shovel full of gravel. 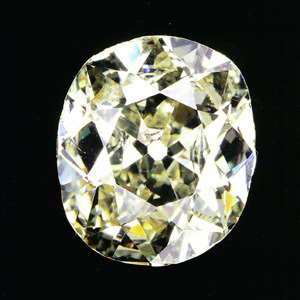 Due to its irregular shape, it was cut into 21 polished stones, of which the largest is a marquise of 69.80 carats. 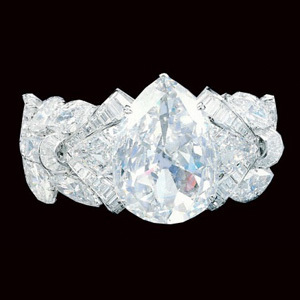 A smaller, 18 carat marquise stone cut from the Excelsior was displayed at the 1939 World’s Fair by De Beers. The shape of the stone was out of the ordinary: flat on one side and rose to a peak on the other, somewhat like a loaf of rye bread. It is believed that this is what inspired the diamond to be named ‘Excelsior’, meaning higher. The Eureka was discovered per chance by a 15-year-old boy, Erasmus Jacobs, on the south bank of the Orange River near Hopetown, Kimberley in 1867 and later handed it to his neighbour, farmer Schalk van Niekerk, who was a collector of unusual stones. Van Niekerk entrusted the stone to John O’Reilly, a travelling peddler, who sent it in an unsealed envelope to Dr. W.G. Atherstone of Grahamstown, one of the few people who knew anything about minerals and gems. Dr. Atherstone identified the stone as a 21.25ct brownish-yellow diamond and was sold to Sir Phillip Wodehouse for GBP 1,500. 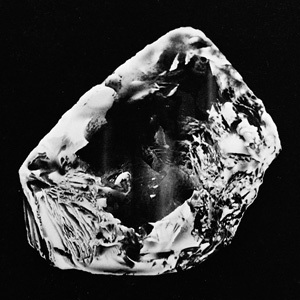 The Cullinan, the largest gem quality diamond ever found, was discovered at the Premier Mine on 26th January 1905. The rough diamond was nearly flawless and named the Cullinan in honour of Sir Thomas Cullinan, the founder of the Premier Mine, who was visiting that very day. Louis Botha, premier of the Transvaal, persuaded his government to buy the diamond for approx. US $1 million and presented it to England’s King Edward VII as a token of thanks for granting Transvaal its own constitution. The Cullinan was handed to Amsterdam’s House of Asscher to polish. The diamond was divided into 9 major gemstones, 96 smaller stones and about 19.5cts of unpolished pieces. The two largest gems were kept for England’s regalia and the rest went to Asscher as payment. King Edward bought one of the major gems for his consort, Queen Alexandra. The Transvaal government bought the remaining stones and pieces, and presented the other 6 major gems to Queen Mary in 1910. Two of the small stones were presented to Louis Botha, who gave one to his daughter when she turned 17.